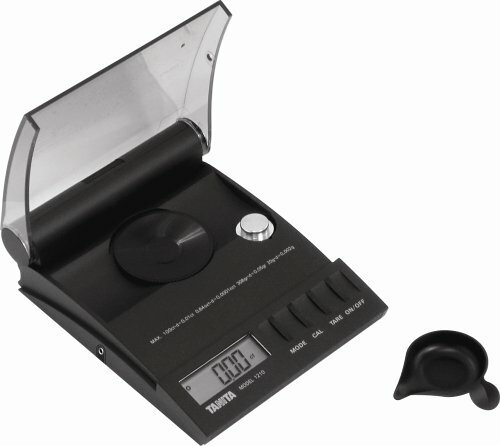 Competitive Edge Products, Inc is happy to offer the excellent Tanita 1210N Professional Mini Diamond Carat Scale. 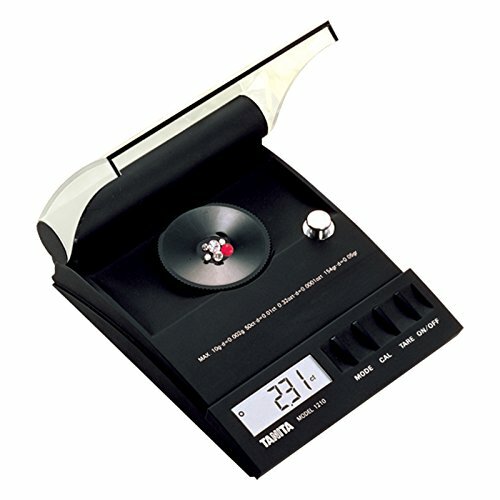 The Tanita 1210N Professional Mini Diamond Carat Scale has a large, bright, 5-digit LCD display, making it easy to read your results. With a AC adapter option, you can use this scale even without batteries! Thanks to the tare/weight function, you don't have to adjust the scale every time you turn it on. The weight mode selection allows you to choose between ct, oz, grain, and grams. A soft case is included to protect the scale from damage, along with a test weight and gem cup. Weighing only 5.5 ounces itself, this scale is light weight, yet accurate. The low battery warning will let you know before the batteries run out. Now with the option of an AC adapter, you can run the scale without battery power. Likewise, this scale no more needs to be adjusted each time the scale is turned off. Net weight is 5.5 oz (155 g). Functions of this scale include tare/weight function, low battery sign, weight mode selection (ct, ozt, grain, g), and 5 digit LCD. Includes soft case, test weight and gem cup.